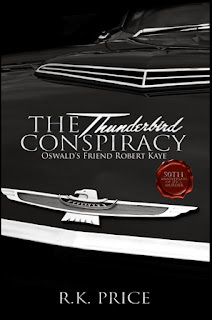 The Thunderbird Conspiracy is the remarkable tale of Robert Kaye, a Hungarian freedom fighter who claimed he knew and collaborated with JFK assassin Lee Harvey Oswald. R. K. Price's second novel is also a tale of a Nebraska farm boy who was a great admirer of President Kennedy and a true patriot who desperately wanted to believe his government's hurried conclusion that Oswald had no accomplice. Yet his own harrowing experience at the hands of his government created profound doubt in his mind, and it haunted him to his death. These two men, one willfully acting, the other a true victim, became entangled in the most notorious crime of the 20th century. This saga of intrigue and murder was revealed to the author on a wintry Colorado day about three weeks before the farm boy's ravaged heart gave out. That man was R. K. Price's uncle. His name was Bud Carlson. Price stashed away Bud's account of Robert Kaye, letting it lay dormant for nearly forty years until he could corroborate his uncle's story with the release of previously secret FBI files from the National Archives. Now nearing the 50th anniversary of Kennedy's assassination Price has brought Robert Kaye and Bud Carlson back to life. Their incredible story will leave you questioning just how and why JFK was taken from America far too early. R.K. Price is a Colorado native. He lived in Pueblo for a number of years, earning his way through college as a radio/television and newspaper reporter. He moved north to Denver in the mid 70s, joining a major advertising/public relations firm as a writer, producer and press agent. Later, he formed his own media relations and political consulting firm. 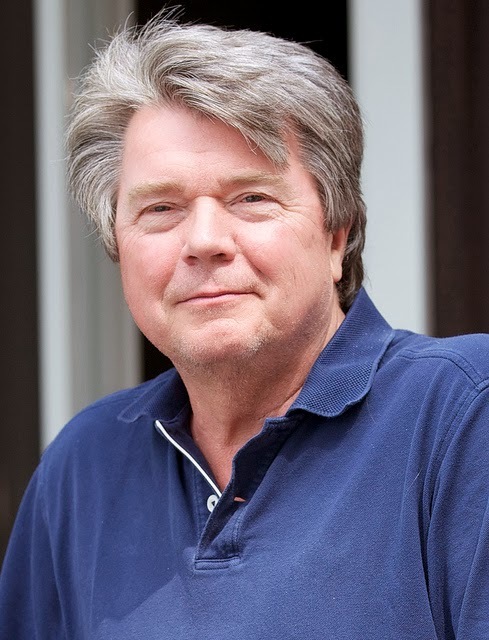 He spent the early 1980s in Washington D.C. actively involved in national politics, and returned to Denver in the mid 80s to become an investment and mortgage banker - a profession he remains in today. He now lives in the Washington D.C. area with his wife Janet and daughter Sara in Alexandria, Va. I received this book from the author for and honest review. To put it in the author's words, it is a fact-based historical fiction. That sums it up in a nutshell. Brilliantly written the author capture your imagination with facts and fiction to bring you this captivating story, about the most spoke about person in the history of the USA. Well layered to bring you another look into the life of Lee H. Oswald, and what led up to the assassination of President J.K. Kennedy. The author introduces us to two main characters Bud Carlson and Robert/Roman Kaye. The one a true American boy, growing up on the farm in the early forties. To find his way to Denver where they met for the first time as boss and employee. Roman Sokolowski aka Robert Kaye was a Hungarian immigrant finding his way in America. Fleeing from a corrupt system in Hungry, an unforgiving father and a wound that almost cost him his life. We are taken into their lives from an early age. We learn that have influence and motivated them and be the men that they become. Bud started out fending for himself, making it big, but at the hands of a greedy wife and bad economics lost it all. Business man, salesman, and father his character is charming, believable, sincere but at the end those qualities did bring him under the radar of the FBI during the investigation into Oswald, never believing that he did it all by himself. A gift, that he gave to Robert once was the thread that linked him to Oswald. That haunted him and his family and almost ruined his second marriage. With compassion and understanding the author draws you into his life so that you could connect with Bud in many areas of his life. The same is true with the character Robert. We learn about his struggles as a cripple, his dreams that haunts him, leaving him restless and weary at times. His father playing a big part during his early years while in the States. Making a name for himself as he worked as an electrician, diligently building the repair shop in an agency for many appliances. Training staff and supporting the local community while he fell in love, lived and made mistakes. Meeting people that draw him into their shady underground world he found himself fleeing in the night with his pregnant girlfriend. Ending up in Denver his story became conspiratorial and shady. After two years, he was moving again, this time without his wife, but in the company of Lee, only Lee. He was paid handsomely for studying maps, being on the roads that led to Mexico and back over a long time period. Never settling. 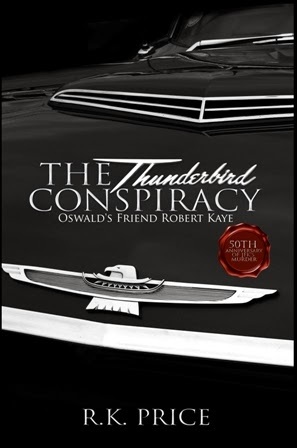 Out of all this trip he bought himself a black Thunderbird, the envy of every man in the sixties. The characters he meets are eerie and secretive leading him on a wild chase with no clear objectives. Until that fateful day in the history of America. The day still speculated and talked about without any clear answers. The assassination of the President. From there matters followed quickly, and as we know Oswald was also killed shortly after. Who would be the escape goat? Bud, the all American boy or Robert, the immigrant with so many aliases that no one knew for certain who he was? A gripping tale of two men trying to find their own feet in this world and a world that did not want to believe or trust them. At the end, they both paid the price. Well developed and eloquently told as you learn more about that period. A book I recommend to all historical fiction lovers. Even those that wants to learn more about JFK and the build up to that fateful day in November 1963. As a Hungarian, I'm really interested to read this book seeing that it involves a Hungarian freedom fighter. Thanks for the great recommendation. Thanks for stopping by Marika. It is a great pleasure, happy reading.